Posted April 29, 2015 by Emily Adams . People distrust advertisements. Companies can say almost anything on the ads they send. They can even lie – some have, and some do. But even if you run an honest business and make only 100% true, verifiable claims in your advertisements, negative reviews from real customers taint your reputation. Customer reviews hold substantial and uncontrollable power over your business. So what can reviews do for your business? Customer opinions are at the heart of your reputation in the community. Word of mouth carries messages from past customers and existing customers to prospects and strangers. Are they hearing what you want them to hear? It takes time and care to build a solid reputation in the community. If your customer service needs a reboot, the sooner you start providing great customer experience, the sooner you can repair a negative reputation. Positive reviews can pull you up on search engine results pages, and negative results can push you down. How does it work? Just like prospective customers, Google cares about what real world people think about your company, products, and services. If your business has a great reputation on review sites (especially Google+), the search engine has social proof that your customers like your company. Great reviews can also organically draw in more traffic to your site. When you are making a purchase decision, I’d bet you’ll glance over at least one review before pressing the “buy now” button. Your customers do the same thing. Customers have power, now more than ever, and use this empowerment to get as much information as possible before they make a purchase decision. Positive reviews encourage them to dig deeper. And as more people visit your site to seek out information about your products or services, you’ll see more traffic to your website (and a higher search ranking as a result). One of the best ways to get new customers is through referrals from your existing customers. After a great experience, they can directly recommend your business to friends and family in conversation. But leaving an online review has a similar function, working as an indirect referral. Prospects who take the time to read their review and resonate with their needs are more likely to visit you too. Customer reviews have a powerful impact on your business. And while you can’t control your customers actions, feelings, or online reviews, you can take extra action to make sure their experience with your business is stellar. 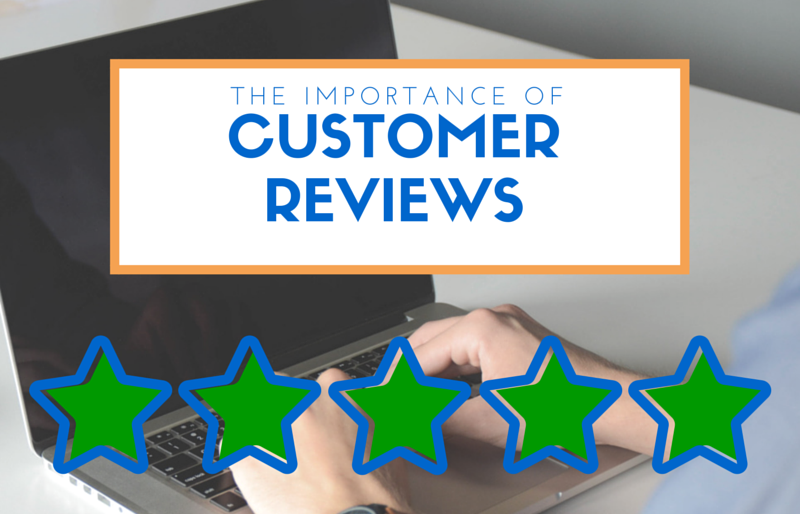 Always read and respond to reviews, and if your customers have a great experience, ask them to share it with their friends and online with a review. Why are so many other businesses asking for reviews? Because your opinion matters.